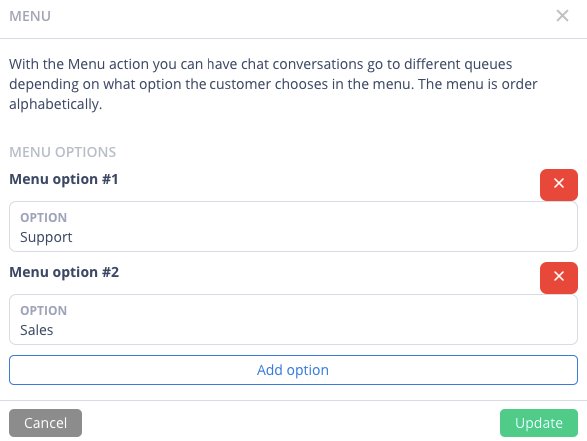 With the Chat Menu action you can have chat conversations go to different queues depending on what option the customer chooses in the menu. It can be found as an Action in the Chat Flow Editor. In this advanced example, the chat widget is hidden if no agents are available in the two queues. If only agents in one queue are available, only that option will be show in the Chat Menu. Can You Transfer a Chat?